Each vehicle approx. 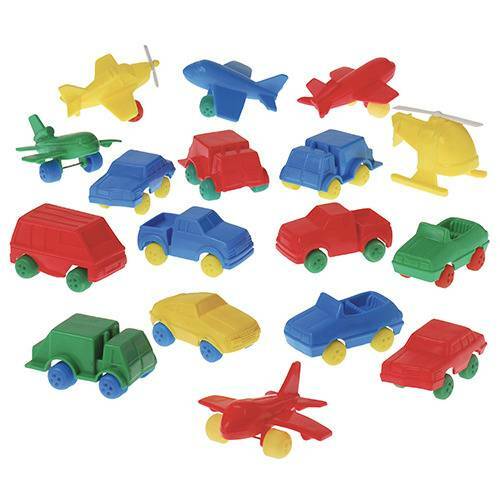 3" L.
A class-size mobile fleet of 36 indestructible, vinyl cars and trucks and 6 assorted indestructible aircraft. Each vehicle is approx. 3" L.